Valentine’s Day is a great excuse to come up with a special offer to tempt customers through your doors. Whether it be a special ‘Valentine’s’ offer in your boutique, hair salon or barber, or a 'romantic meal deal’ for your coffee or sandwich shop. Whatever you have in mind, we can help promote it, with easy and quick stickers whether they be for the product, window, or to give away. 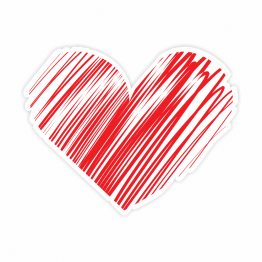 Stickers are an easy way to theme your products during the celebrations without going to great expense. 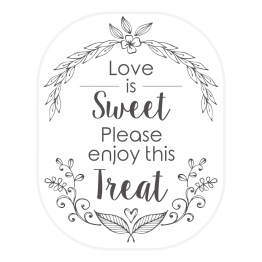 Why not create stickers for your Valentine’s themed products, a unique window decal to draw customers in, create a table talker highlighting the special offers you are promoting, badges for your staff, or even promotional stickers for your customers. If you know what you want, you can easily create it using our online tools, but if you need some help, why not use our free design service. We are competitively priced for all quantities, even small orders, and offer fast delivery, with next day dispatch available. What is more, all your designs are stored online in your account, making re-ordering quick and easy. Get in touch to find out how you can wow your customers and save money with Sticker Gizmo.